With Fast Five (2011), director Justin Lin – with a little help from Dwayne Johnson’s likeable Agent Hobbs – managed to reinvigorate the then-ailing Fast & Furious franchise. Racing to $626 million at the global box office, it’s no surprise that everyone is back for another round of vehicular warfare. 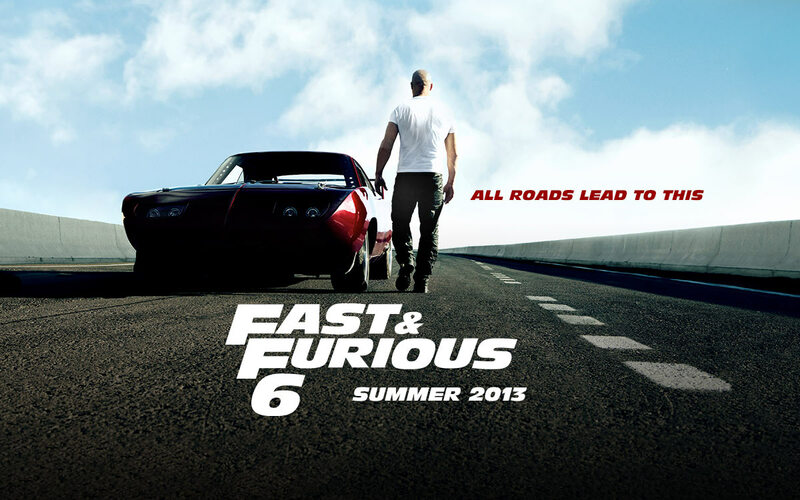 Offering more of the high-octane action that the series is famous for, Lin’s Fast & Furious 6 (2013) is easily the most ridiculous blockbuster of 2013 thus far; and also one of the most enjoyable. This time round, Dominic Toretto (Vin Diesel) and his team are enjoying themselves after their $100 million windfall from their last job. However, it’s not long before Johnson’s Hobbs tracks Dom down with an unexpected proposition; help him take down ruthless criminal Owen Shaw (Luke Evans) and his crew of elite drivers. Initially reluctant, Dom’s mind changes when he is shown a picture of former flame Letty (Michelle Rodriguez); presumed dead, she’s now resurfaced as Shaw’s lieutenant. Assembling the rest of his cohorts, Dom and his team make a deal; their specialist help in exchange for full pardons. It’s a fairly straightforward plot, and even Shaw’s search for a computer chip that will supposedly “do more damage than a hundred tanks” is rendered more or less immaterial. Thankfully, screenwriter Chris Morgan has a good handle on Fast & Furious 6’s army of characters, and the friendly banter between the team is often pitch perfect. The repartee between Tyrese Gibson’s Roman and Chris Bridges’ Tej is particularly entertaining, and will no doubt score some laughs with audiences. With that said, there are more than a few elementary issues with the script. Although the recurring family theme is admirable, the constant dialogue about it quickly gets tiresome, and at times can be unintentionally hilarious for those watching one. Yet, this is almost a moot point; the unique selling point of any Fast & Furious movie is the car sequences, and in this regard Lin has taken the series to brave new heights. The vehicular carnage on display here is staggering; planes crash, tanks come out of nowhere, and the car stunts are slicker than they have ever been, defying the laws of physics in the process. It’s unlikely that there will be another film this year that does over-the-top action this well. There are also a number of well-choreographed fight sequences, the most noteworthy of which come from the strong female presence of newcomer to the franchise Gina Carano and the returning Rodriguez. The former still needs to improve on her acting ability, but her fighting skills are unrivalled, and her clashes with Rodgriguez’s are great to watch. 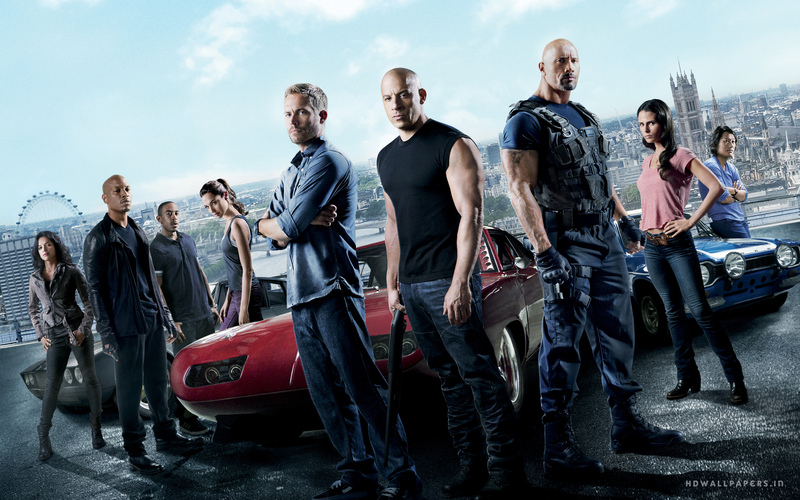 Lin’s Fast & Furious 6 certainly has its flaws (plot, anyone? ), but this is an action-packed crowd-pleaser of a movie that will satisfy any fan of the series, whilst maybe even luring in some curious newcomers. If the post-film stinger is anything to go by, a seventh instalment will be something to look forward to – a rare thing to say about any megabucks American franchise these days. This entry was posted on May 16, 2013 by Amonymous. It was filed under Film Reviews and was tagged with Chris Bridges, Dwayne Johnson, Fast & Furious 6, Gina Carano, Jordana Brewster, Justin Lin, Michelle Rodriguez, Paul Walker, Sung Kang, Tyrese Gibson, Vin Diesel.